Logo for a dot com startup. Luckow also designed a large amount of other ID elements for Electric Village, which went on to be renamed “OnRadio”. 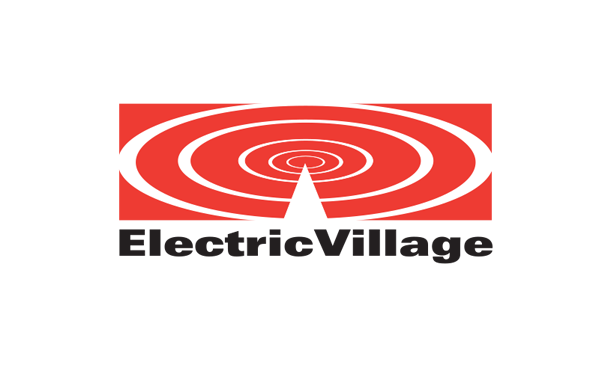 Electric Village went on to develop the largest network of radio station websites in the world (at the time).